Conti Lite skin cleansing dry wipes offer the lowest cost option within the Conti range, combining a strong and soft material to \create highly effective skin cleansing with high durability. The wipes are a great option for those who use a large number of wipes on a regular basis. 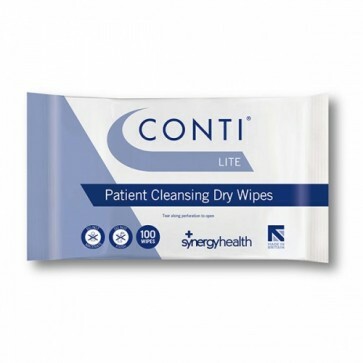 Conti Lite skin cleansing wipes are designed with polypropylene and are light in weight, ensuring they are kind on the skin whilst being effective.